Miracle Vet premium dog food and weight gainers for dogs and cats. 100% natural ingredients, made in the USA. 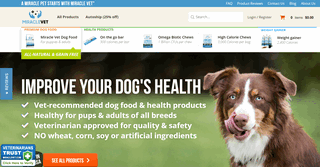 Vet-approved for all breeds and ages.